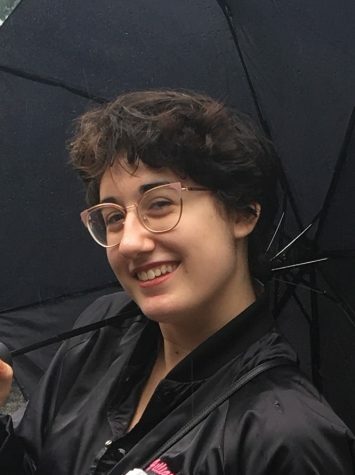 Gillian Russo, Fordham College at Lincoln Center 2021, is studying journalism and theatre. She also works at PlaystoSee.com and Mood of Living magazine in New York, and has interned at Voices Newspaper in her home state of Connecticut. When not in a news office, she’s likely dancing, poetry-writing, practicing her sword-fighting skills or standing in line at Schmackary’s, whose cookies hold a special place in her heart.